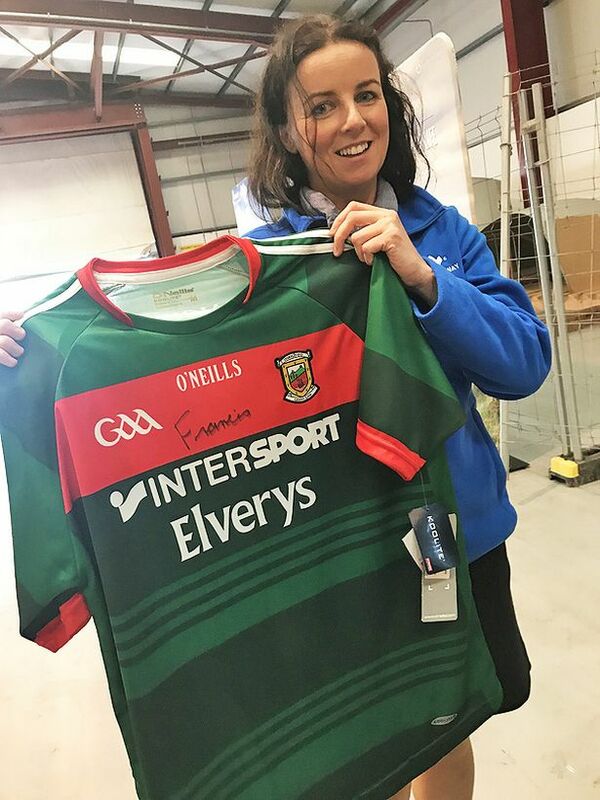 SIGNED: Audrey Elliott with the Mayo jersey signed by Pope Francis at the Ireland West Airport. The Mayo jersey signed by the Pope was the brainchild of a Sligo woman. Audrey Elliott from Ballincar is a member of the marketing team at Ireland West Airport where Pope Francis made his way to and from a papal visit to Knock Shrine. Audrey’s list of celebrities to throw their support behind the Mayo 4 Sam campaign previously included the likes of Foo Fighters front man Dave Grohl, former Oasis singer Liam Gallagher and ex-Norway international and Blackburn Rovers star Morten Gamst Pedersen, but her latest efforts will perhaps provide some divine intervention for the nation’s long-suffering runners-up in their bid to rid themselves of their infamous All-Ireland curse. “I have done it previously for celebrities who have come through the airport. I would normally hand them a t-shirt to sign and maybe get a photo of them holding it and put it up on our social media sites,” she explained. For the full interview with Romuald, see this week’s Sligo Weekender newspaper – in shops now!